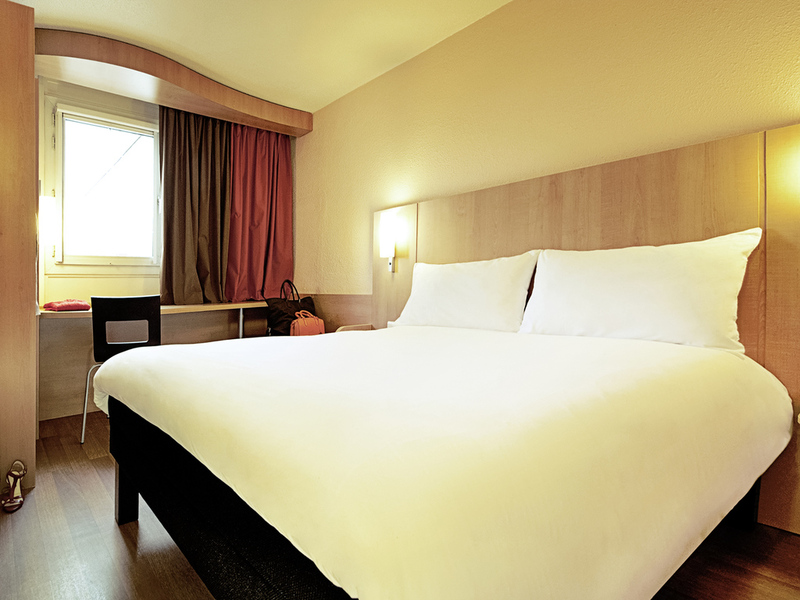 Hotel ibis Concepción offers the necessary comfort for business or pleasure at economic rates. Located 1.5 km from Carriel Sur Airport and 10 minutes from Concepción's center, it's the ideal hotel to quickly attend corporate events due to its fast, easy access to the main routes that connect ibis Concepción to the most important convention centers in the Biobío region, like SurActivo, Mitrinhue and Universidad de Concepción and others. We paid 80usd for the night. It is far too much for a hotel that looks ok on the online pictures but reality is outworn, dirty and not service not firendly at all. They refused to put my company name on my invoice. The rooms look like you are in a 3rd class hostel - yes, hostel. The breakfeast quality and presentation is more like a cheap highway restaurant. Outside the prices of the rooms are advertised, saying it starts from 47.000clp during the week. I wonder either who gets this rate or which rooms are sold for this price. Ibis usually stands for a good standard for an affordable price. This hotel fails on both epicly. I was accompanied by two business partners who were also quite disappointed fir the same reasons. I will certainly contact Ibis management to bring forward this complaint and or state this on review websites. It would be nice to hear from you! Thank you and best, Nicolaus B. Located next to the airport, this is a very good option to stay for a business trip. Breakfast is good, even though the placement of the food is kind of messy, it might be difficult to find what you want, but there is a nice variety. The room is comfy, the air conditioner is a bit loud, so I had to turn it off during the night, but the temperature of the room was good. The room was adequate with a double bed. We had requested a crib which unfortunately was not provided and meant us having to move the beds together to prevent our baby from being able to roll out of her rather uneven and awkwardly designed single bed. As far as hygiene was concerned, finding long black hairs in the bathroom does not exactly meet average standards of cleanliness. The rooms are small but more than adequate. Housekeeping was good and staff helpful. The restaurant is good and inexpensive compared to local options, but service tends to be slow and inattentive. More options are needed for the breakfast such as hard-boiled eggs and hot meat options other that what appears to be sliced up hot dogs. Not as good as expected. The room was not clean. I actually had to ask to be moved to a different one when we arrived. Breakfast ok. The restaurant really bad, we had dinner and had to return what we ordered. Staff need to be properly trained in customer service. My room´s floor was too dirty with dust and rest of things, even when i arrived at 8pm so, there were enough time to clean it. 3 beds but only 2 people!! Booked two rooms for 4 adults and two children. Each room had double bed and sofa bed. So beds for 3 people in each room. Receptionist insisted that each room was maximum 2 people.